Are you SIRIUS? That’s the question I’ve been asking myself when I see people on motorized bicycles. But not Sirius, as in the brightest star in the sky, but serious as in acting or speaking sincerely. Turns out, I should have been using the brightest star version. Why do people need/want a motorized bicycle? Otherwise, I thought, just get a scooter or motorcycle. I found just the guy who can answer this question, right in our own Downtown Tempe backyard. Meet Telpriore Tucker. Actually, Dr. Telpriore Tucker. But you can call him Tucker. He’s the owner of Sirius E-Bikes and over lunch at Earl of Sandwich (hot Italian sandwiches), I asked him my question: why people buy/ride motorized bikes? “It’s the convenience of time, for one”, Tucker explained. “You can go further in a quicker amount of time”. And he said e-bikes are perfect for the desert southwest, specifically the Phoenix area, for three reasons: the weather year round is generally ideal for riding, the valley is generally flat (energy efficiency!) and the streets in the valley are built on a grid system, making the surface streets ideal for transportation. I countered with a witty reply, “It’s too hot in the summer here to ride my bike to work; I’m afraid of showing up all sweaty”. Tucker said, “all the more reason to use an e-bike, the electric motor assist does the work for you at the twist of the throttle. You’re at work three times faster with a breeze in your hair”. Me: no witty comeback. Tucker is a big fan of astronomy, so when he was looking for a new dba (doing business as) for his company, he settled on Sirius, the brightest star in the sky and also the star to follow. And Tucker is a bright star. He has a PhD in Chemistry from ASU and is currently a post doc scholar with 2 patents to his name (one a fuel cell/energy device and the other for internal components for energy, similar to batteries). In fourth grade, he won a science fair and his teacher, Ms. Black, encouraged him to be a scientist. He also won first place for a drawing of Fred Flintstone in elementary school and so he’s both a scientist and a creative. This may explain why he’s a big ‘repurposer’, believer in living efficiently and ended up with a company that sells and repairs ebikes. An ebike is a bicycle that can be run on electric power as well as by pedaling. It’s a 2 wheel hybrid. Tired of pedaling up that long hill? With the twist of the throttle on an ebike, the motor will kick in and assist you up the hill. His bikes are American-made and premanufactured to be an ebike. The battery pack/fuel cell can be removed from the bike and charged while you work or sleep. 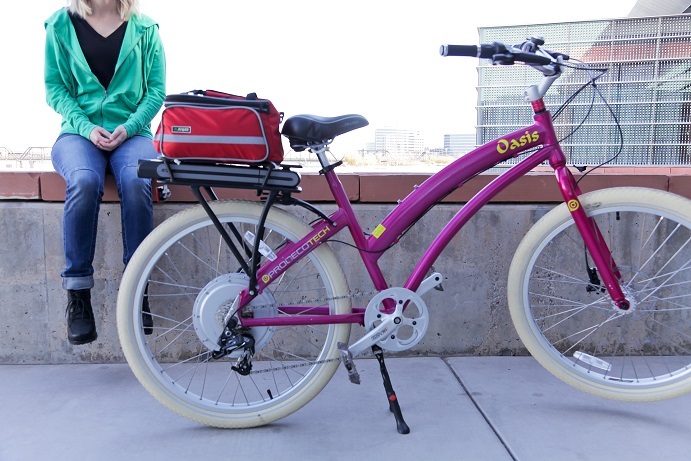 You can pedal manually, pedal with a motor assist or let the bike do all the work. They can be pricey, ranging from $1100 to $2400, but Tucker says it’s an investment in lifestyle. With the purchase of one of his ebikes, he will quantify how green you are, how much CO2 you are not producing, how much water, gas and time you are saving. And let’s not leave out the health benefits. He’ll even map out routes for you to utilize the best surface streets and bike lanes in the least amount of time. Tucker also pointed out that cyclists are most likely to patronize businesses in an urban environment. They don’t have to find a parking spot and can easily turn around or make turns when they see something down a street or alley way they want to check out. 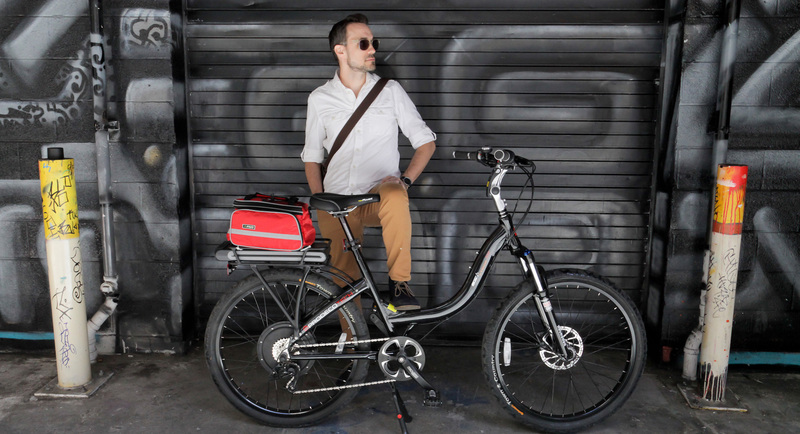 Ebikes are perfect for exploring cities and in fact, Tucker always brings his ebike on vacation, so he can really get to know and experience a place. Or even just rediscover his own neighborhood. Tucker is one of those lucky people who have managed to combine his passions for energy, technology and bicycling with a viable business model. With the help of the City of Tempe’s Economic Development resource In Tempe, Tucker is on his way to achieving his goals: becoming and remaining an entrepreneur as well as consulting on electrified transportation, fuel cells, batteries and the social application of technology. 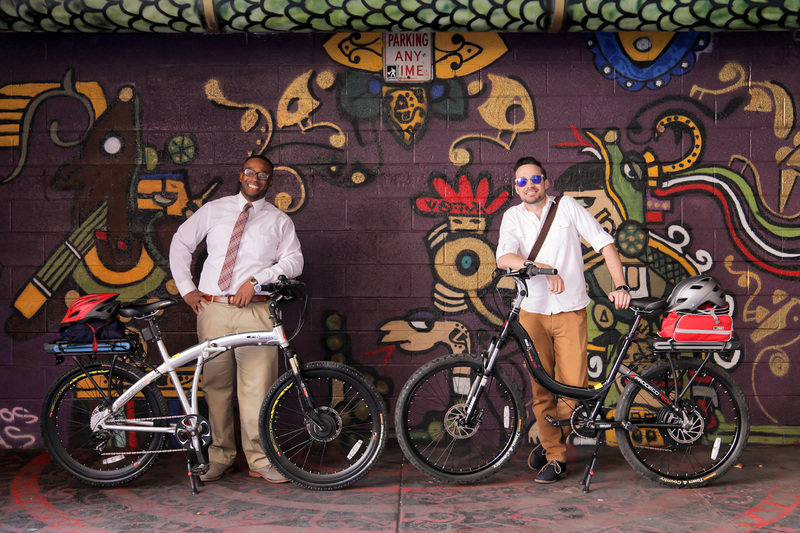 Give him a call at 602-753-8825 to set up an appointment to check out his e-bikes. The bikes, and Tucker, are a Sirius business.